Take this opportunity and get to know some of the most emblematic places of Lisbon in this private walking tour, with your private tour guide, who will show you and illuminate you with the best spots, history and culture of this fantastic city. This tour is completely adjustable to what you want to see in Lisbon, please don’t hesitate in contacting us. Enjoy as much as possible your time in Lisbon and enjoy this half day private walking tour through some of the most emblematic Lisbon’s quartiers. 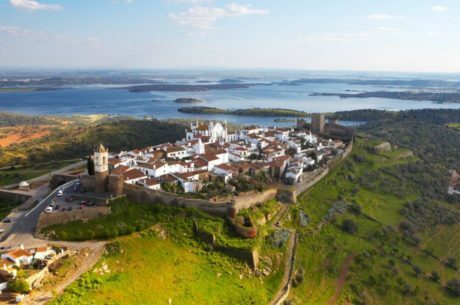 You will get to know Alfama, the Cathedral of Lisbon and the stunning Castle of Saint George, located on a hill, where you will enjoy stunning views. The tour will start in the Cathedral of Lisbon at the time desired by you. It is possible to organize a pick up from your hotel or place of choice, if it is close to the Cathedral. The Tour Travel and More team will help you to organize the tour the best possible way to fit your own interest and likes. Remember that this tour is completely adaptable to your interests. Lisbon has been declared by Lonely Planet as one of the 10 best european cities to visit. The city has a very rich and wide cultural, gastronomic and historical offer. Plus the perfect weather, generally shiny and with mild climate. This private walking tour will kick off in front of Lisbon’s cathedral. This building is one of the only that survived to the earthquake that the city suffered in 1755. Its construction started in the XIIth Century, but it was not until the end of the XIVth Century that it was declared the Cathedral of Lisbon. You will then walk towards Alfama. Alfama is the oldest district in the whole city. It is mostly known for being the birthplace to Fado, a traditional portuguese music style that has been declared World Heritage by UNESCO. Alfama is a delightful maze of narrow cobbled streets and ancient houses, which lead up the steep hill from the Tejo Estuary to the castle. While walking through the cobbled streets of Alfama, you will starting going higher, until you will arrive to the area where the Saint George Castle is located. The Castle had to be restored in 1920, due to the earthquake in 1755. You can enjoy stunning views of Baixa and the Tagus river from the battlement of the castle. The excellent vantage point of Castelo de Sao Jorge high above the River Tejo made it a prime defensive position and the site has been used since the Roman era. The tour will start and finish in the same place where it started. It has a duration of 3 hours total. As said, it is possible to adapt the tour to your own interests, here we showed you an example of what we think would be a very good way of getting to know the portuguese gastronomy. Remember the tour is totally adaptable, and we are here to help you organize it on the best possible way. Lisbon is the capital city of Portugal, it has a population that minimally exceeds the 500.000 people. 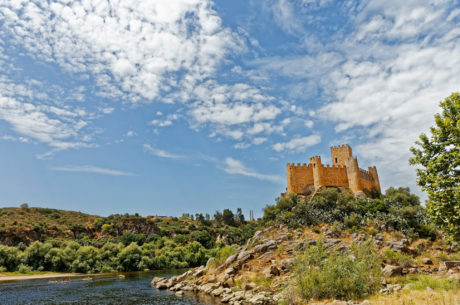 It has coast from the atlantic ocean and it is also rounded by the Tagus River. The city offers a very rich cultural variety, it is very forward thinking and modern, while at the same time it has always kept its unique heritage and traditions. Lisbon is constantly recognised as one of the greatest cities in the world, a claim confirmed by the “Lonely Planet Guides”, which named Lisbon as one of the top 10 cities in the world to visit. Tour Travel & More offers private custom tours for families, group of friends or even incentives. We adapt our tours to fit your own personal needs. We also understand each customers needs while on holiday and we do everything possible to make your stay and experience unforgettable. All our vehicles are private luxury vehicles, mini buses, and buses. Our guides are in any case private official tour guide, licensed and all have great knowledge to make your experience memorable. We have official guides in a large number of languages: English, Spanish, French, Italian, Polish, Dutch, Chinese, Russian, Japanese, German, Greek, & Portuguese amongst others. 15 days prior to first service date: Free Cancellation on guide and private vehicle with chauffeur. Any type of entrance tickets have no refund. Less than 15 days prior to first service date: penalty of 20% of guide and private vehicle with chauffeur. Any type of entrance tickets have no refund. Less than 7 days prior to first service date: No Refund. Payment of 100%.